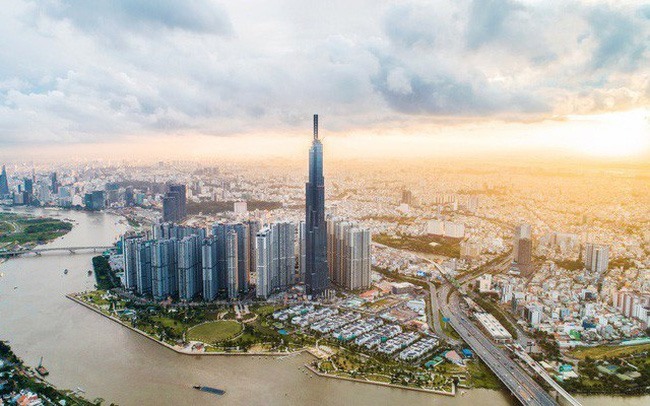 Last month, property developer Vingroup unveiled plans to sell 20 million non-convertible bonds at VNĐ100,000 (US$4.39) each in two phases without any covered warrants or guaranteed assets. The total value of the issuance will be VNĐ2 trillion ($87.8 million), and, according to Vingroup, it will help partly repay its bank loans and achieve its financial targets. Earlier, in August, Vingroup issued 84 million preference shares on a private offering basis to Hanwha Việt Nam Opportunity Private Fund 1 for over VNĐ9.3 trillion ($400 million). Also in August, a subsidiary of Vingroup, Vinhomes, issued 20 million three-year bonds worth VNĐ2 trillion ($87 million). A month later, it issued VNĐ5 trillion worth of two-year bonds. Sunshine Group recently announced plans to issue 100 million three-year bonds worth VNĐ100,000 each. The company expects the issuance to raise VNĐ10 trillion, which it will use for developing its business strategies and investment projects. Among them is the State Bank of Việt Nam (SBV)’s directive to increase the risk weightage for real estate loans from the current 200 per cent to 250 per cent. It means that for every đồng of real estate loan given, the value of risk-weighted assets will increase by two and a half đồng, a significant disincentive for banks to lend to the property sector since their capital requirement is a ratio of their risk-weighted assets under the Basel norms. Right at the start of the year, UPCoM welcomed the first company, Lào Cai Gold Joint Stock Company (GLC), which has a free float of 10.5 million shares. It is the first gold mining company to trade in the stock market. On January 17, the Construction Consultation Joint Stock Company for Maritime Building listed on UPCoM at a reference price of VNĐ34,500. They include the Tân Bình Real Estate Joint Stock Company, PetroVietnam Building and Commercial Joint Stock Company, Thắng Lợi International Garment Joint Stock Company, and Trà Nóc-Ô Môn Water Supply Joint Stock Company. As of last year, a total of 804 companies were trading on UPCoM with nearly 32 billion free float shares and a combined market cap of VNĐ319 trillion ($13.87 billion), exceeding the combined number on the Hồ Chí Minh and Hà Nội stock exchanges. They include the Bình Sơn Refining and Petrochemical Joint Stock Company with assets of VNĐ59.7 trillion and charter capital of over VNĐ31 trillion, the Việt Nam Rubber Group Limited with legal capital of VNĐ40 trillion and PetroVietnam Power Corporation with charter capital of VNĐ23.42 trillion. The PetroVietnam Building and Commercial Joint Stock Company is a subsidiary of the Bình Sơn Refining and Petrochemical Joint Stock Company, which owns an 83.26 per cent stake. Bình Sơn is among the largest companies traded on UPCoM. PetroVietnam Building is the sole supplier of three-surface PE bags for packing products to the Dung Quất refinery, the first refinery in the country. With a charter capital of VNĐ80.6 billion, Tân Bình Real Estate Joint Stock Company (TBR) listed 8.06 million shares for trading on UPCoM this year. Its modest size and asset value notwithstanding, TBR’s performance last year was pretty good, with after-tax profit in the first nine months of last year reaching VNĐ12.6 billion, up VNĐ7.1 billion from the same period in 2017.